Pound Ballet Studio’s Teacher Miss Gillian delivered a fantastic introduction to Flamenco on Sunday at The Pound during Corsham Summer Festival. 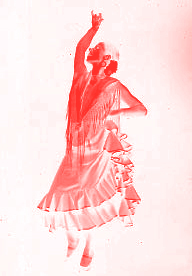 Miss Gillian instructed us on basic Flamenco steps and arm movements to Spanish music of various tempos (suitable for our abilities) It was great fun in high heels with ‘swishy’ skirts & everyone left with Big Smiles. It would be fabulous to have one of these classes on a regular basis, so please let us know if you are interested and we will do our best to introduce one in the coming term.